The Mercer Consulting Company released its eagerly anticipated annual “Cost of Living” city rankings this month. Moscow is the fourth most expensive city this year, by Mercer’s calculations. Mercer examines the prices of 200 types of goods and services (including housing, transportation and entertainment) in 214 cities around the world and the prices are calculated in U.S. dollars. 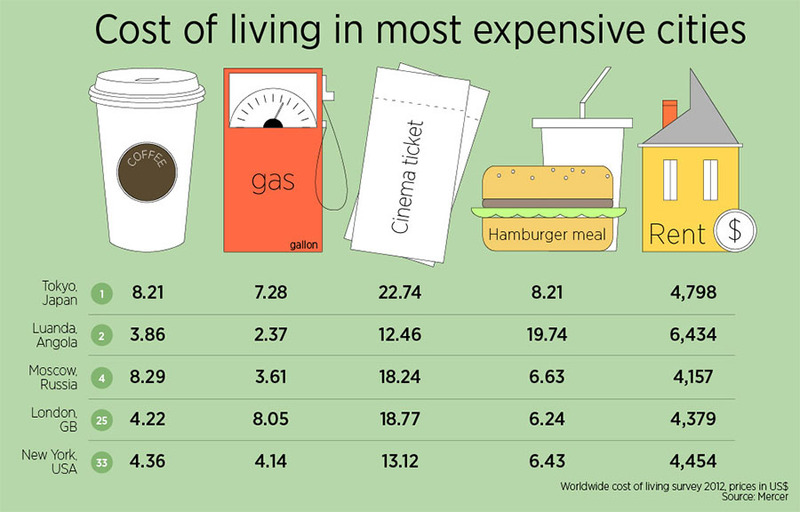 Tokyo took first place with the highest cost of living; Luanda, Angola, took a more surprising second place; Osaka, Japan took third; and Geneva was in fifth place this year.